"Best thing we have done getting Garden Crew to makeover our front yard. Got to love tradesmen who are tidy, prompt, & do a fabulous job. We get so many positive comments from friends & even complete strangers who walk past our place. Thanks so much for transforming our home"
"So happy we discovered you! ......just wanted to say that your advice and plant selection for us were great and we are both so pleased." "Just want to say a big thank you to Andrew for being so prompt in giving me a quote to tidy up our really unruly garden. Great Service!" 2. Their punctuality is exceptional. When Andrew says he will be there at 8am he is there at 8am. 5. 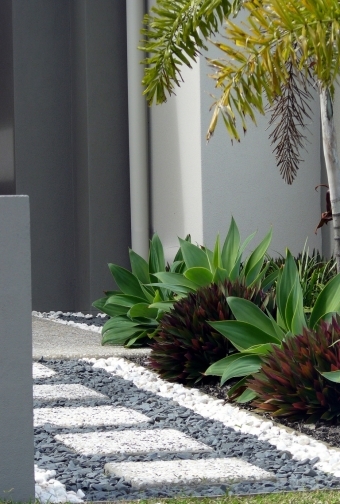 Garden Crew will create a sustainable Garden that will add huge value to your property."